ProgressNC reminds us this morning that Gov. Squishy will have his first debate with Roy Cooper this evening in Charlotte. ProgressNC also reminds us of how The Guv lied his way through his last debate in 2012, particularly his promise that he would never, no nevah, sign additional restrictions on abortion into law. He promptly broke that promise, twice. 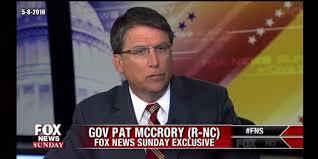 HB2 has produced a barrel full of McCrory lies, probably because he never understood the bill and didn't read it. The Washington Post awarded McCrory’s claims on HB2 with Three Pinocchios. Politifact graded five of McCrory’s HB2 claims as “Mostly False,” “Mostly False,” “False,” “False," and “Pants on Fire" (as in “Liar, liar”). And WRAL-TV of Raleigh flagged McCrory for a figurative “Moving violation” (worst grade offered) for his bogus claims on HB2.